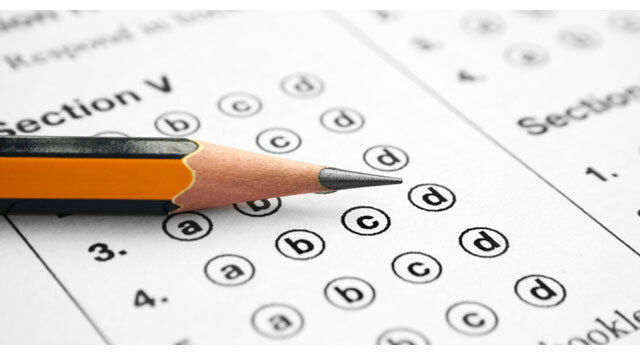 Career Tests: Are they Helpful in Selecting A Career? Career Tests: Are They For You? Career tests, more commonly referred to as Career Assessment Tests or just Career Assessments, come in various forms, including questionnaires, card sorts, and multiple choice and short answer tests. Career assessments may also differ in their objective. Some assessments are designed to test for skills, others for motivation and some for personality traits. However, generally speaking, career assessments are designed to help individuals better understand how their interests, aptitudes, preferences, values and skills will influence their ability to succeed and find satisfaction in a variety of careers and work environments. Career assessments are not new – they've been around for nearly a century and have played an important role in career development and our economy. In 1958, in response to the National Defense Education Act which provided funding for career guidance in public education institutions, the use of career assessment tests and tools exploded. Career assessments continue to be employed by career service centers at high schools and universities, human resource departments, vocational rehabilitation centers, career counselors, guidance counselors, and career coaches to help individuals explore all the career options and opportunities available to them. While there are many career assessments, the Strong Interest Inventory is one of the most accurate and widely employed career assessments. Many human resource specialists and career counselors utilize this assessment since it contains hundreds of questions designed to help individuals narrow down a list of potential career options. Career assessments are primarily designed to help career seekers discover skills, aptitudes, talents and interests that can lead them to new career discoveries. Specifically, assessments are helpful in helping candidates identify their strengths, as well as areas of weakness. The results produced by these tests can prove useful in assisting candidates discover new career opportunities and explore careers in line with their talents and goals. Nobody should rely exclusively on a career assessment when setting career goals. It is ultimately the responsibility of individuals to make difficult decisions regarding careers. However, career assessments can get people undecided about a career to begin thinking about their skills, interests, and future aspirations. Career assessments have proven useful again and again in getting individuals to consider new career options previously undiscovered, increase satisfaction and confidence career plan and increase self understanding. Many corporations and career counselors worldwide rely heavily on career assessments, while others do not use them at all. Some professionals swear by their usefulness, while others believe they have limited application. Regardless of personal opinion, career assessments are a useful tool for helping people who have not decided upon a career to consider different options. Career seekers should view career assessments as one of the first steps in their journey to find the ideal career. Once the assessment is completed, it is recommended to review the results and use this information to narrow down some possible careers, then learn more about these different careers through research and personal conversations with professionals already working in these industries. Now that career assessments can be approached realistically, it is highly recommended for anyone undecided about a career to meet with a career counselor and take a career assessment.